Custom Built home in 44 Gables, 4 Bedrooms, 2 Baths, 2 Car garage w/opener. Over sized and irregular fenced in yard on culdesac. Back and side yard offers lots of privacy and no rear neighbors. Backyard also has private entrance from Orange Grove Lane w/parking for boat/car/truck.Victoria Lane has only 11 homes and no front neighbors because of retention pond. Yard has 100 amp service for future pool/spa. Brand new 50 yr Premium transferable roof, New 50 gallon energy efficient hot water heater, new 2016 energy efficient heat pump. Separate Living Rm, Dining Rm, Family Rm, Breakfast Rm, Laundry Rm w/mop sink, split plan. Master Bedroom has access to screened lanai thru French Doors and custom designed Bath w/custom walk-in closet, Garden tub w/separate shower. Bedroom 2 has access to private stone patio. Family Rm has wood burning Fireplace and floor electrical outlet. Plant Shelves have electric outlets. Close to shopping/restaurants/churches. 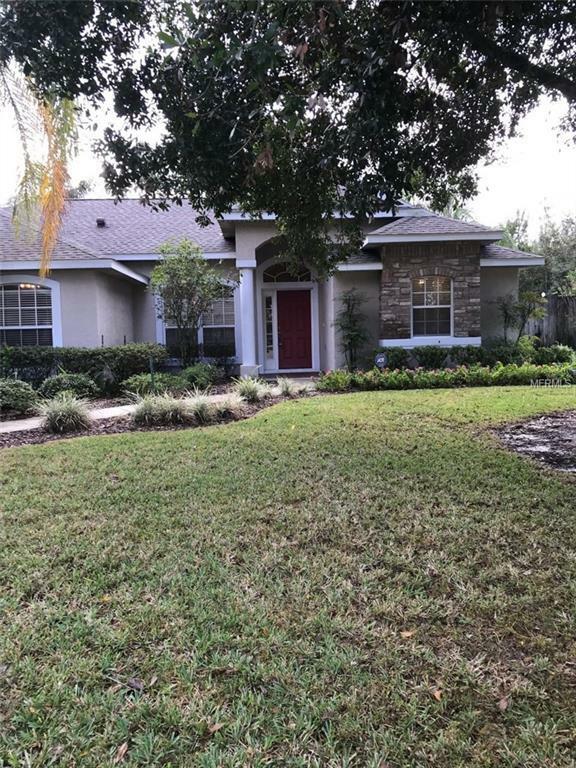 Minutes from downtown Mt Dora and Eustis. 429 extension entrance 10 minutes away to get to Disney, Universal and Airport. Chain of Lakes within 5-10 minutes.